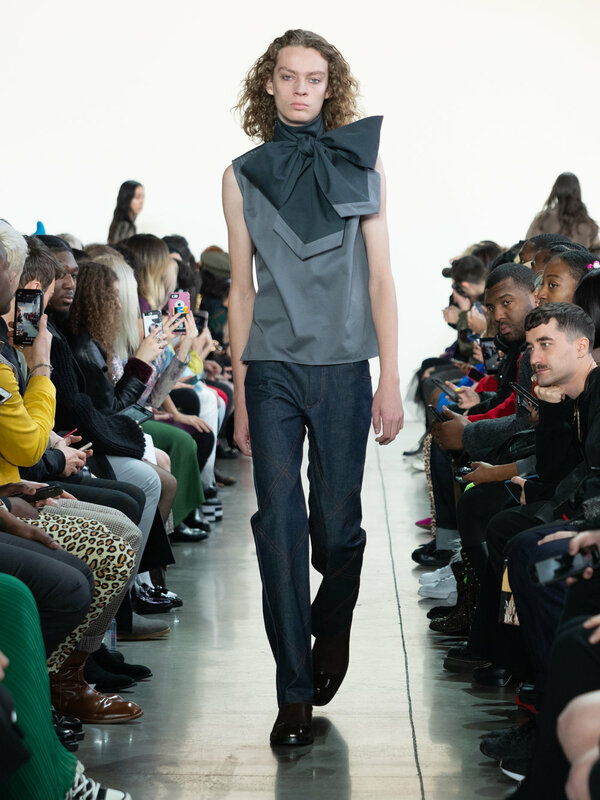 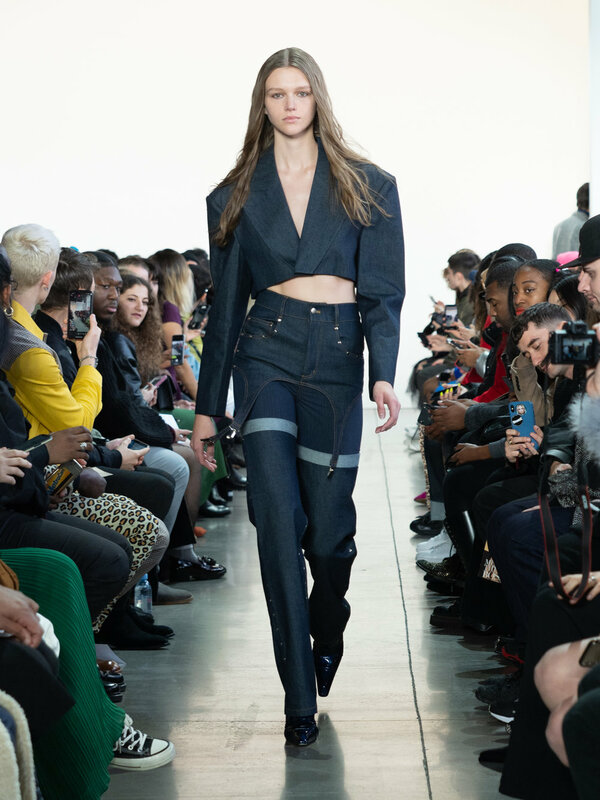 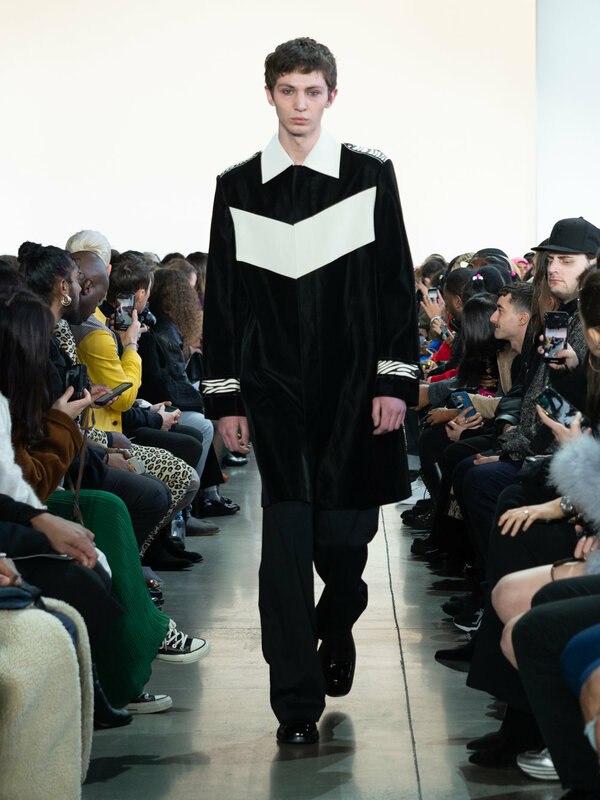 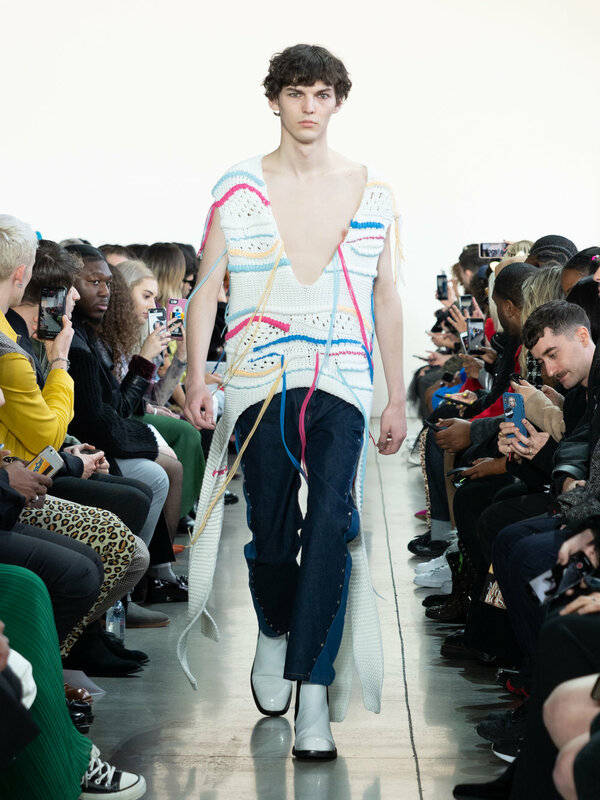 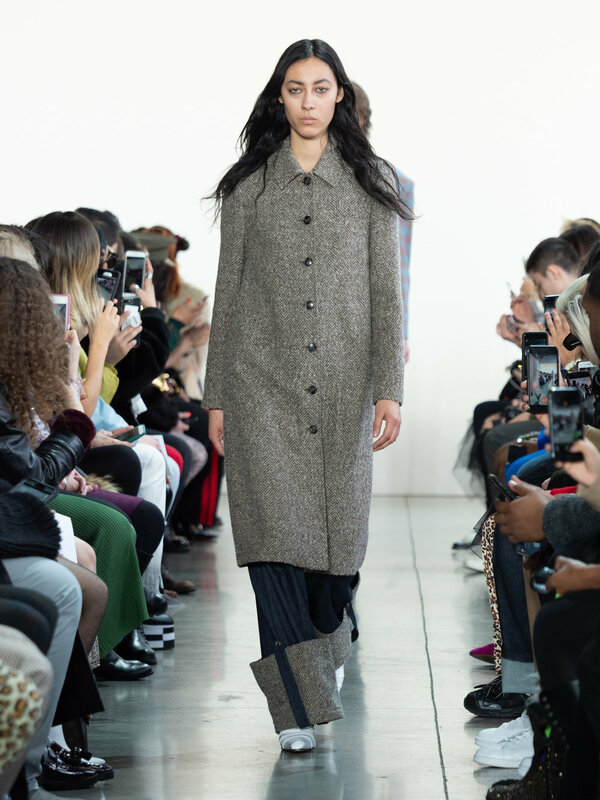 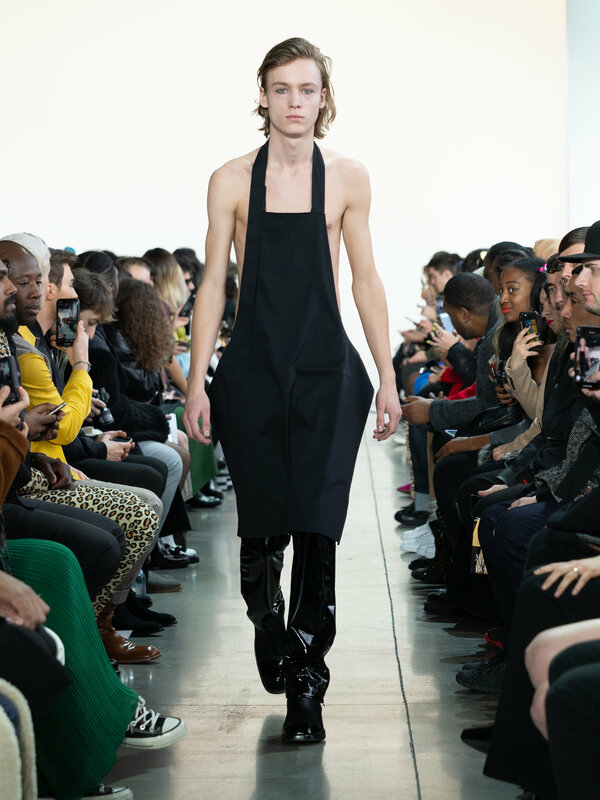 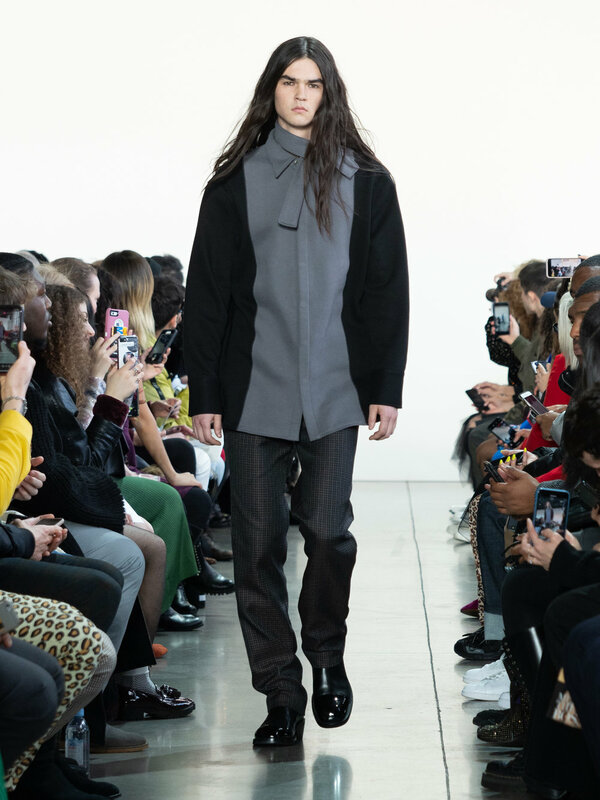 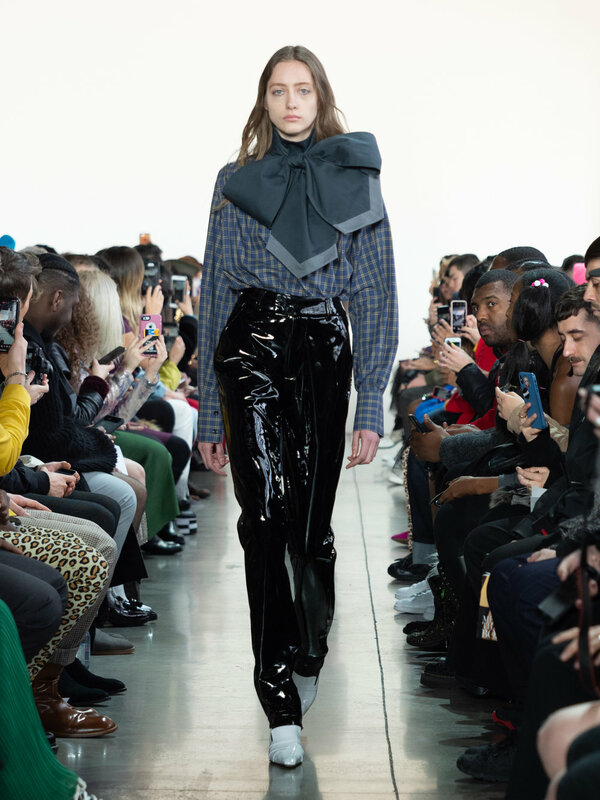 Parson’s graduate Calvin Luo slayed the Fashion week runway with this seasons collection an ode to the fashion excesses of New York City in the 80’s and early 90’s. 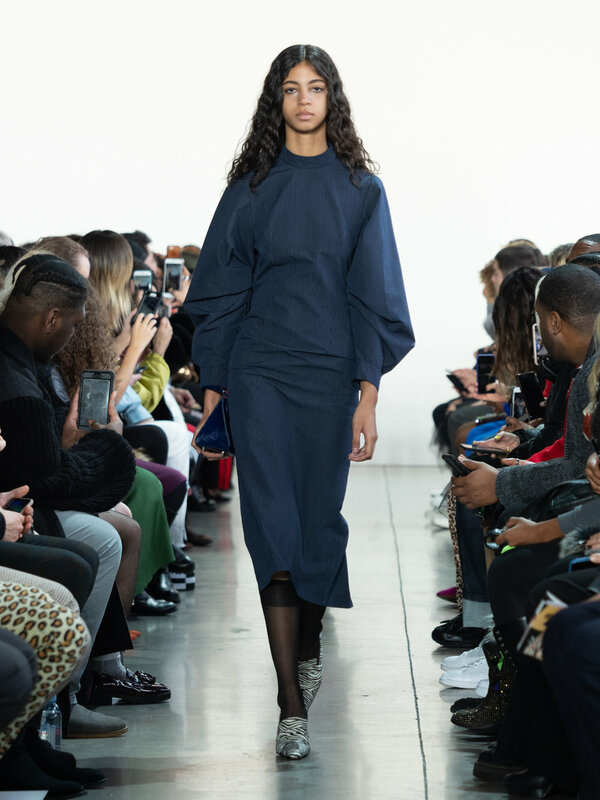 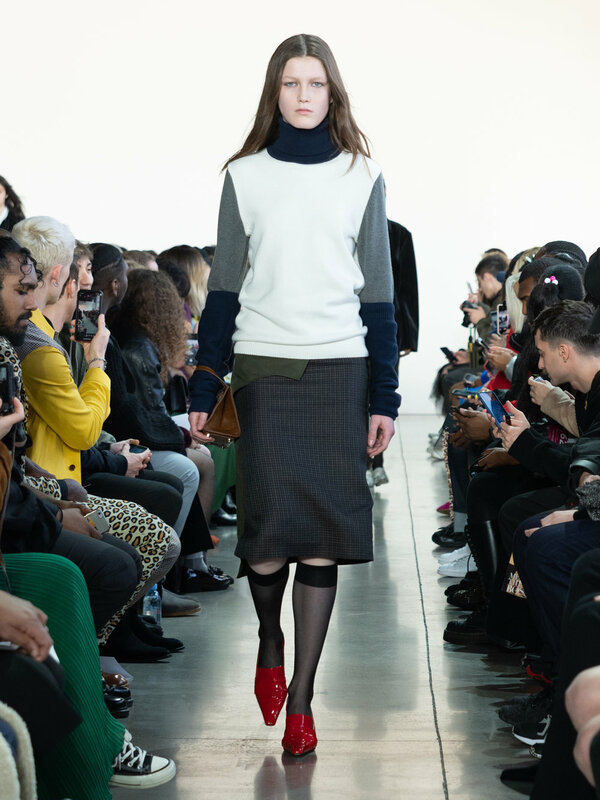 Luo brought the differences of both decades together to display voluminous separates featuring bows, larger than life pockets, and extra boxy shoulder silhouettes. 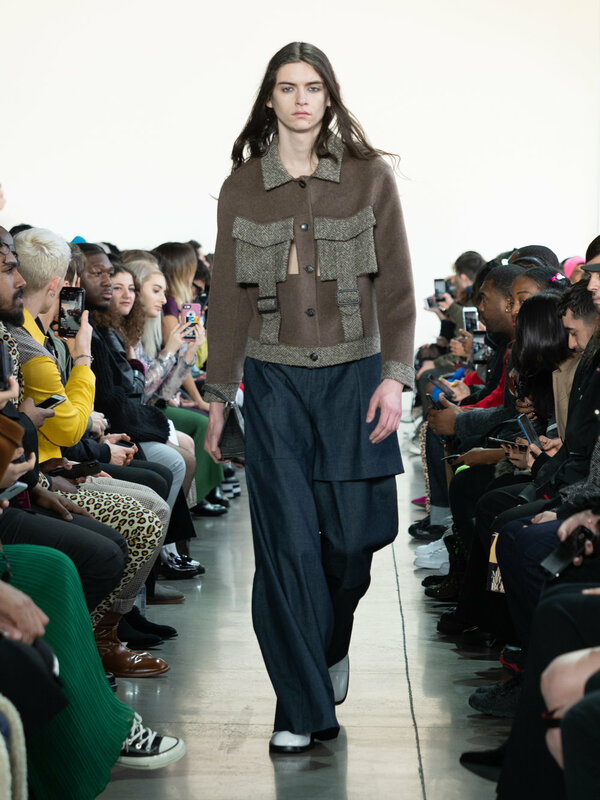 Creating pieces that not only presented a uniform collection but were also unisex. 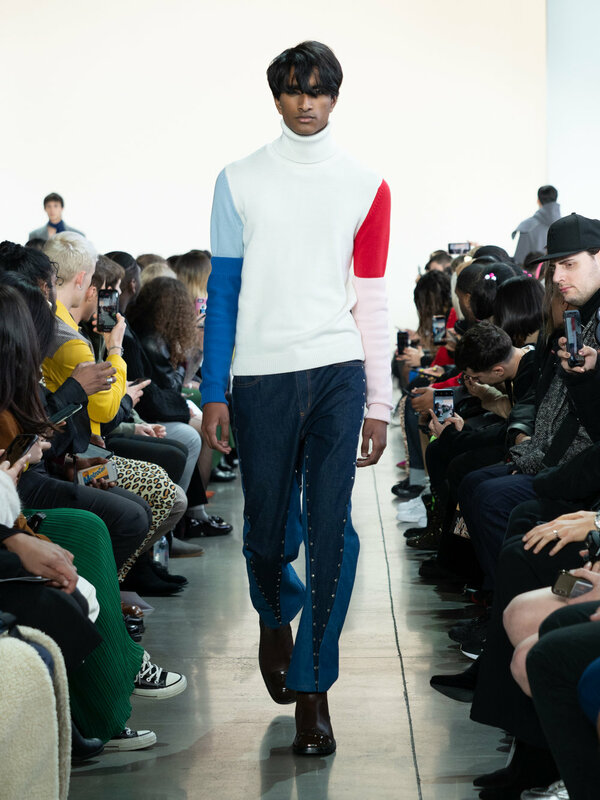 In fact, it’s the first season he put out a line featuring both men’s and women’s clothing. 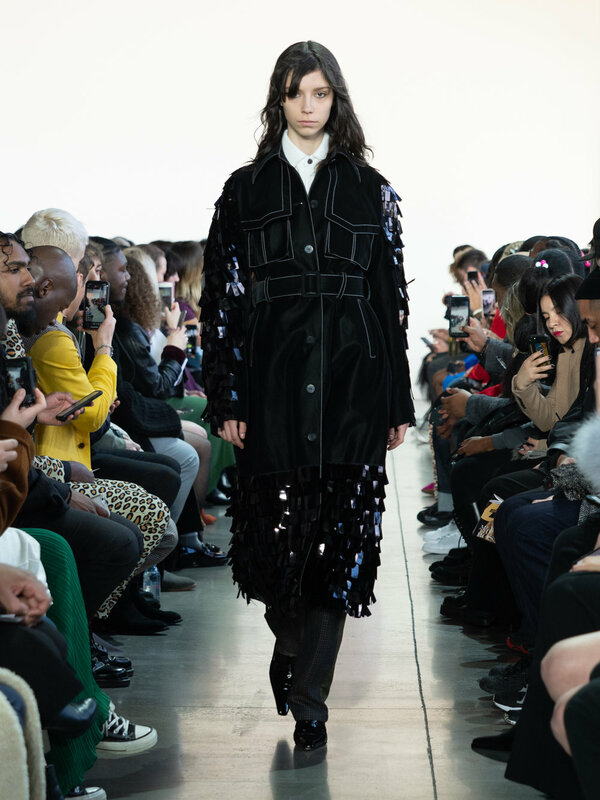 This season Calvin Luo fans (TRA is included in this description) were all treated to a front row seat experience at his Spring Studios show. 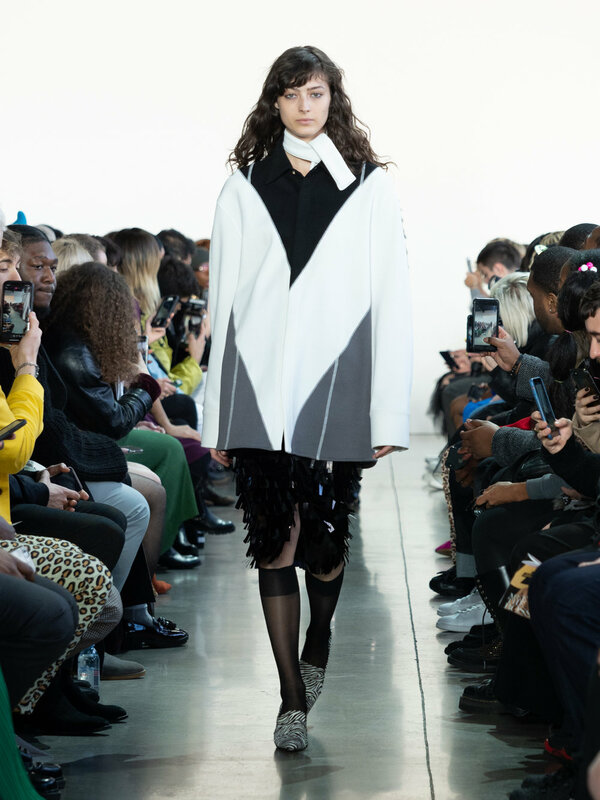 With 4 active runways we were constantly going from one fashion love affair to another and there was plenty to take in. 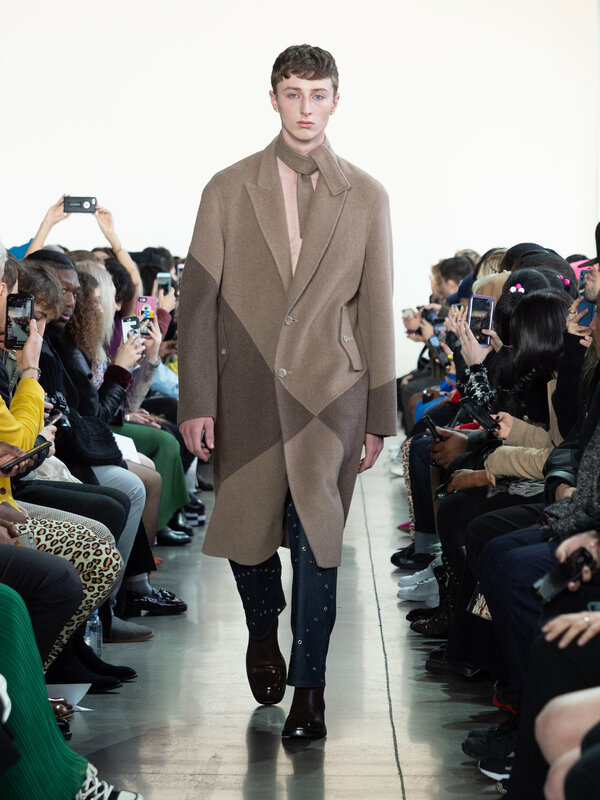 The big waves for Calvin aren’t just happening here in the US he is making marks internationally with huge projects such as Rouge Fashion Book, the independent fashion and art magazine he founded which is a first for China. 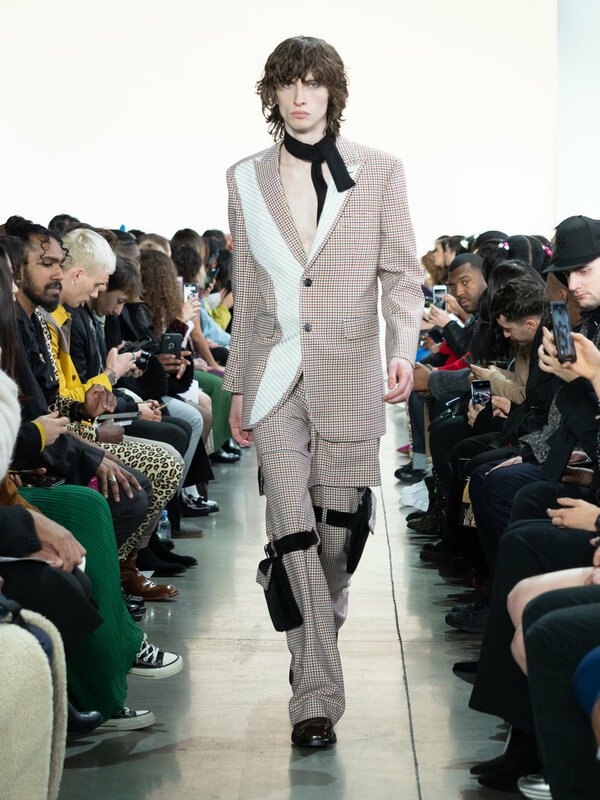 We are sure the edge of working with his magazine gives him a great eye and perspective on exactly what buyers are looking for. 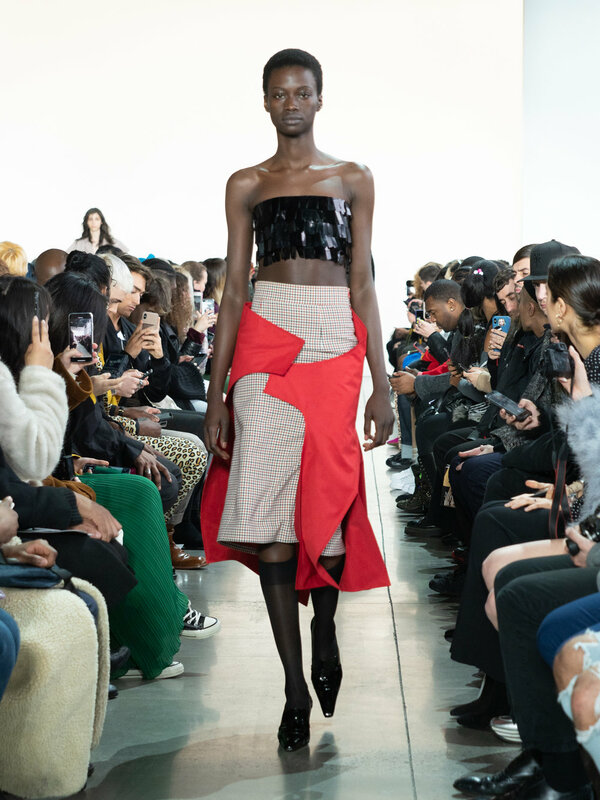 The shock and awe were high within this collection all while maintaining that the label remains wearable. 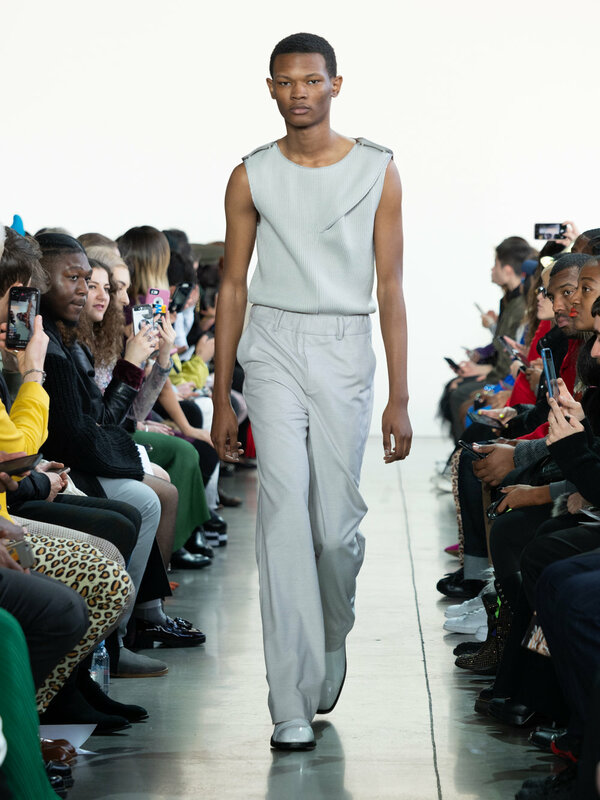 You could easily place the opening ¾ length jacket dress with a simple pump for an evening out or even place any of the suit jackets with a simple white tank and fitted jean. 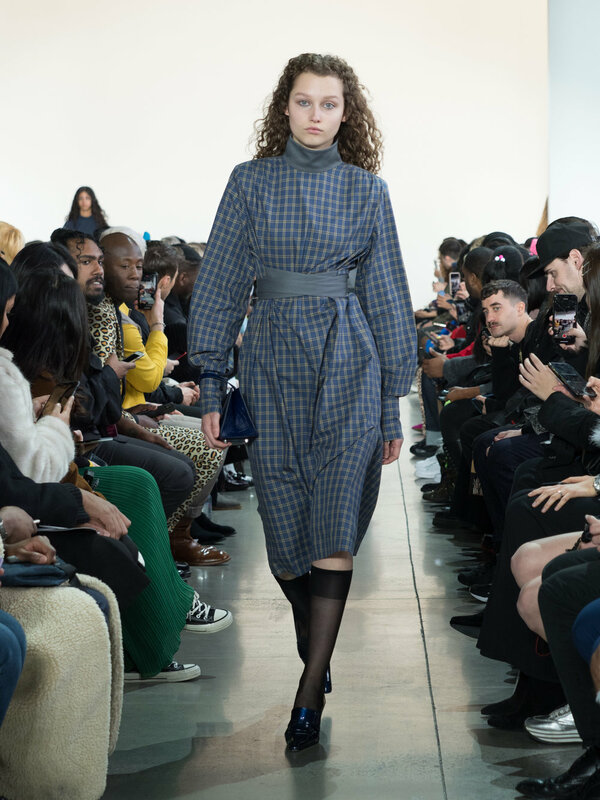 Normally one may be concerned that people wouldn’t “get it” or the combinations may be “too much” for them to see just how wearable it could be so we can think Stylist Tom Van Dorpe for balancing the runway with super haute high fashion looks and palatable easy to maintain lows. 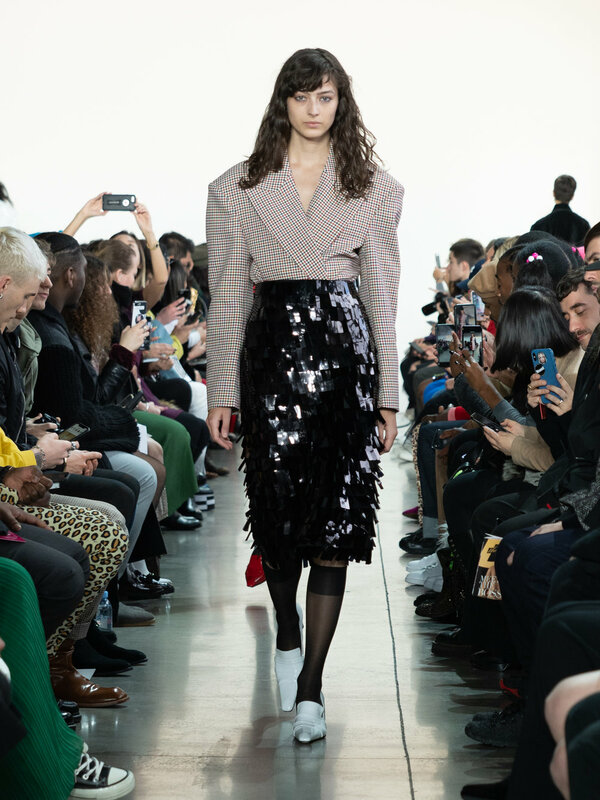 The everyday fashionista could have a field day with all the feels in this seasons collection.